The Loveland Campus brings county resources and services together in one large building, making it a central hub for county departments. Haselden Construction recently completed construction of the new Larimer County Loveland Campus. The 46,000-square foot administrative building accommodates Larimer County’s growing need for municipal services for Loveland and southern county residents. The Loveland Campus, designed by Fort Collins-based The Architects’ Studio, brings county resources and services together in one large building, making it a central hub for county departments. 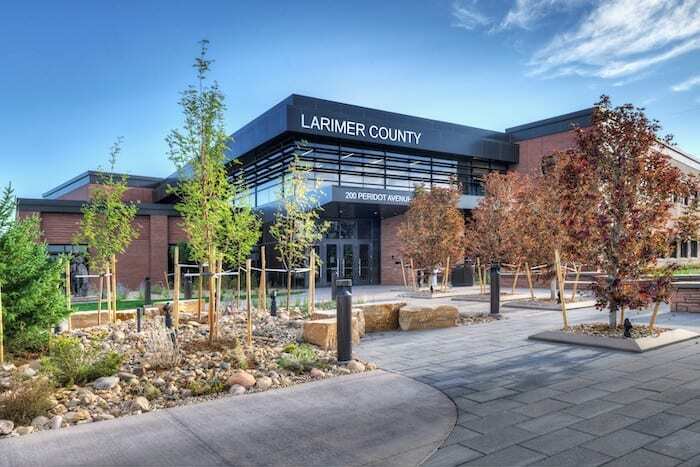 Larimer County used a debt free funding structure for the new building – money saved from a voter-approved tax to replace the previous aged and undersized administrative building in Loveland and $2 million in grants from the Colorado Department of Local Affairs. Haselden Construction worked closely with the county’s facilities services director and used local Northern Colorado subcontractors to allow for quicker responses to project needs, reduce unnecessary travel time and costs, and ultimately complete the building in a swift 13 months. Published in the Dec. 5-18, 2018, Colorado Real Estate Journal.